Warnings of flash floods remain active as moderate to heavy rains are expected in the country's northern regions. 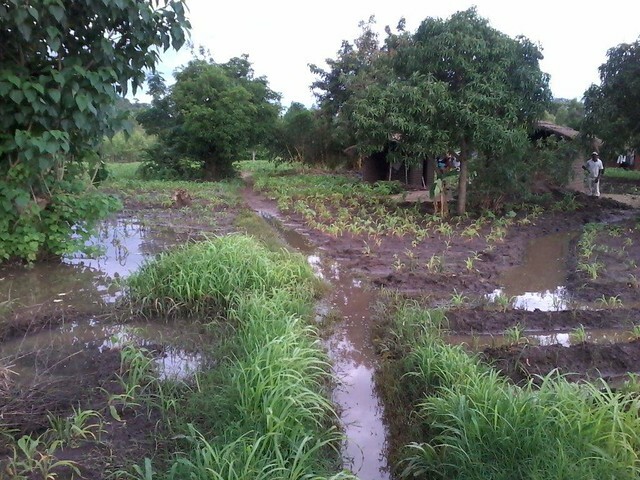 It is estimated that more than 63,000 hectares of land is under water, including 35,000 hectares of crop land, and a state of emergency has been declared for 15 of Malawi's 28 districts. The most affected districts are Chikwawa, Nsanje and Phalombe. "Failure to respond promptly will have lasting consequences," said Florence Rolle, FAO Representative to Malawi. "Flood-hit families risk harvesting nothing or very little this year, leaving them food insecure at the very outset of the agricultural season and undermining much of the progress being made in reducing food insecurity in Malawi." she said. Malawi's districts are regularly hit by floods and droughts, requiring emergency responses of varying size each year. The frequency and magnitude of the recurrent disasters are worsened by deforestation, population pressure and widespread poverty. Long-term watershed management infrastructures are urgently needed so that even intense flooding is less damaging than this year.